*Priority reservations given to Members at $250 and above. Subject to availability. 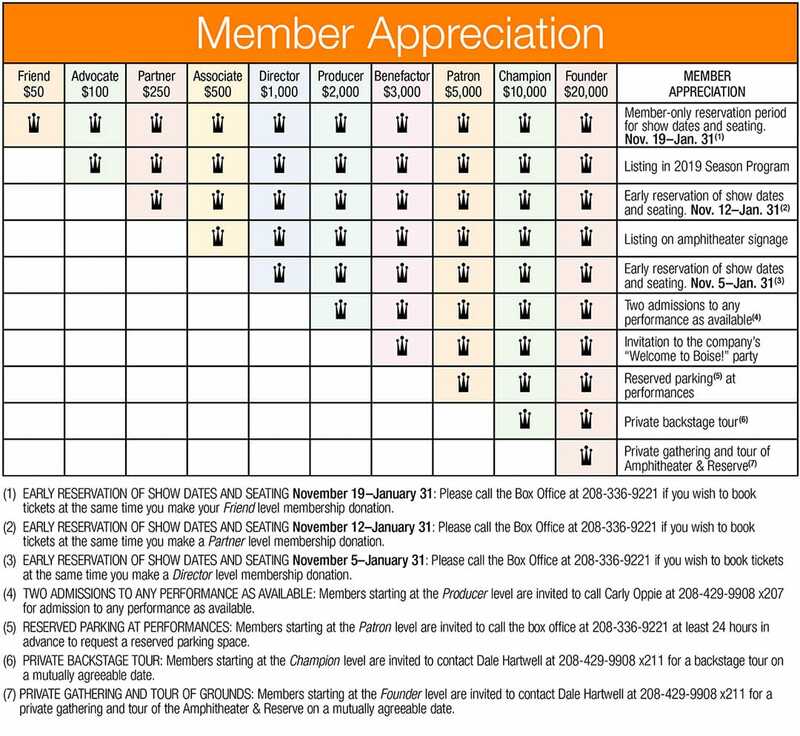 Become a Member of the Idaho Shakespeare Festival and enjoy priority reservations for season tickets and receive program recognition as well as a host of other benefits listed above. 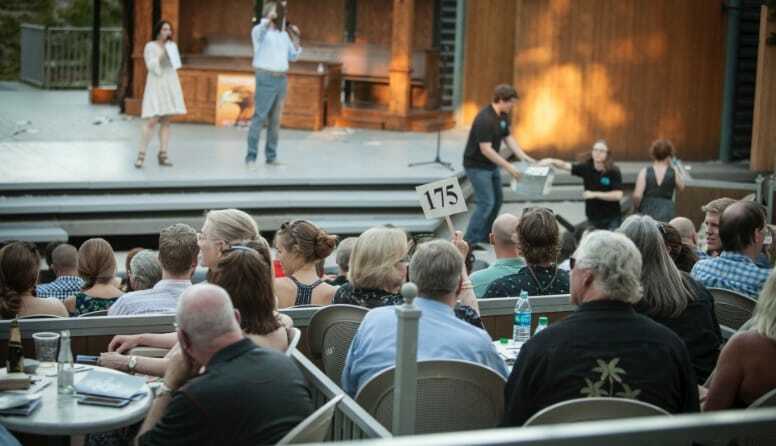 As a non-profit 501C 3 organization, the Idaho Shakespeare Festival has big dreams. Annual donations from individuals, families and businesses, called Memberships, help fulfill these dreams and sustain the promise of classical theater in the Treasure Valley. Not only is a Festival Membership your ticket to preferred seating, it makes a fundamental difference in our ability to present the very best. 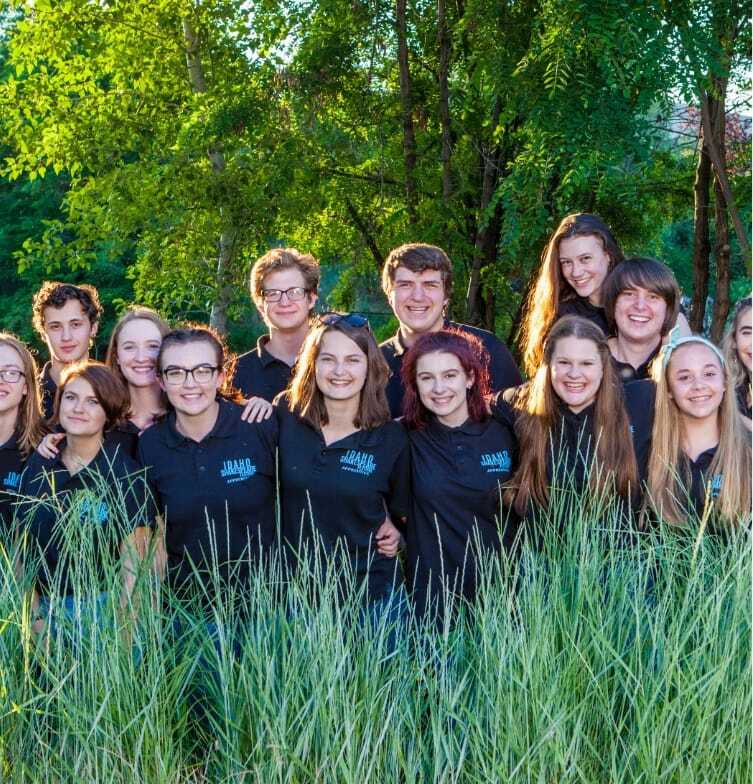 In addition to supporting main stage productions and the artists who appear on stage (and also backstage); your Membership underwrites year-round educational programming for more than 50,000 students through state-wide school tours and community outreach. 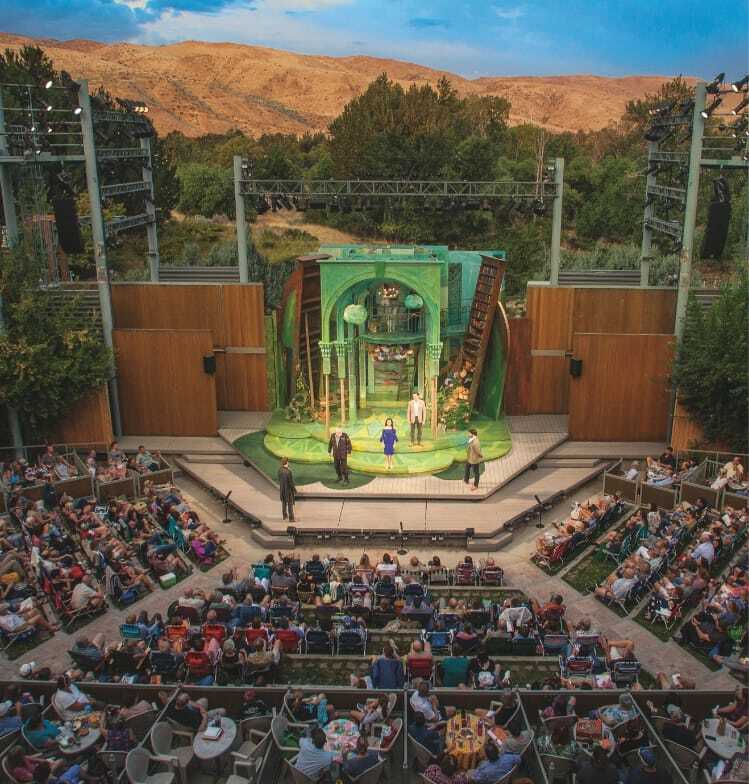 Thank you for becoming an Idaho Shakespeare Festival Member! Members at or above the Producer Level are invited to participate in the activities of the Shakespeare Society which hosts informal social and educational gatherings with Festival artists each summer. If you have not participated before and would like to know more, please contact Dale Hartwell at (208) 429-9908 x211. Customized recognition and benefits are offered to donors of $5,000 and above. Donations made to the Festival are tax-deductible to the extent allowed by law. The Idaho Foundation for Parks and Lands is a statewide Non-Profit Land Trust whose mission is to preserve and protect open space lands and unique natural, scenic settings for public benefit. The newest acquisition for the Foundation was the purchase of the 12 acres adjacent to Idaho Shakespeare Festival and the Barber Pool. The Foundation is now raising funds to remediate and complete the purchase of the property. If you love the Shakespeare setting in a natural paradise, please help with this newest acquisition. You can go to www.idaholands.org for more information and to donate. Thank you. To become a Member online click the button below or please call: (208) 429-9908 x211.